You can review our Spay/Neuter Contract below. We will send you an official contract when you purchase a puppy. Permanent ownership of this dog is contingent upon your compliance with this Addendum. The Breeder must receive proof of the spay/neuter procedure having been performed no later than the female becoming 6 months and the male puppy becoming 9 months of age. Proof must be received within fourteen (14) days after completion of the surgery. This notice can be in the form of a Certificate of Spay/Neuter or an invoice from the veterinarian showing the procedure has been completed. In the event the dog’s health does not allow this agreement to be honored, Breeder must be provided with a statement from your veterinarian that this dog is not yet in physical or emotional condition for surgery. Based upon the veterinarian’s evaluation of this dog the Buyer will contact the veterinarian and establish the earliest date that the procedure can be performed. The Buyer will notify the Breeder of this amendment in writing, at which time all other conditions of this contract will apply and be enforced. It is the responsibility of the Buyer, not the veterinarian, to ensure that the Breeder has received verification that the surgery has been performed. Failure to comply with this contract by the date below, unless otherwise agreed to in writing, will be considered a breach of the Contract. The Purchaser will be liable for $7000.00. In addition, it will result in the Health Guarantee being null and void. By signing below, I the Buyer agree to have this dog spayed/neutered by no later than ____, and I understand that this contract is an agreement that this dog will not produce a litter of puppies either as purposely bred or by accidental breeding. 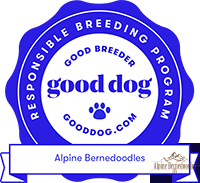 If a pregnancy occurs whether purposely or accidentally, the Buyer agrees to pay the additional cost for a breeding dog, which is $7000.00.